Some people have asked about laundry. How am I going to do it as a housewife in 1916? While the ‘Wash on Monday’ nursery rhyme made famous by the Little House books doesn’t appear to have been nearly as prevalent in New Zealand, there are still suggestions that there were definite routines to daily chores, and washing, done at home, was most frequently done on Monday. 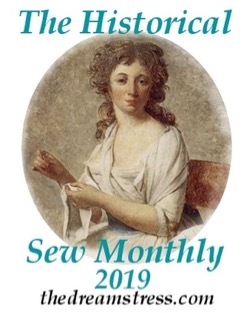 It makes sense: most visiting and social events would happen on the weekend, so washing on Monday would ensure there wasn’t laundry on view when visitors came around, or that the lady of the house was occupied for the full day doing laundry while she also had guests. It also meant that any good clothes worn for social events or church could get laundered right away, before stains set in. Another old rhyme explains that it was about drying time – and in the middle of winter, that may indeed take a while! Poorer households would have done their own, but washing was considered one of the most onerous of chores, so in wealthier households the maid did it, it was sent out, or someone was hired in. NZ newspapers are full of advertisements for a woman to ‘wash on Monday’. 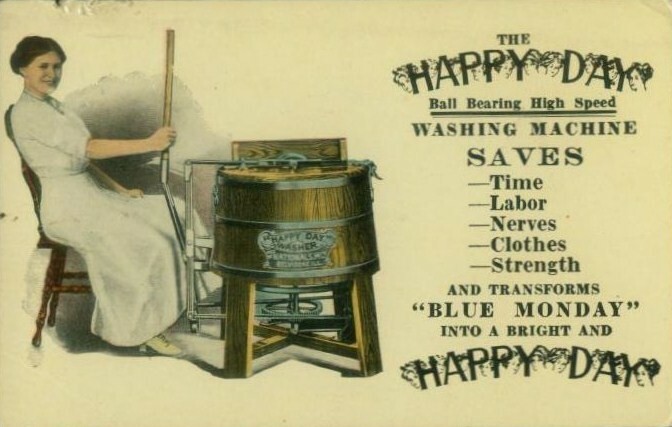 Laundry was done in a number of ways in the 1910s. The most basic, but most labour intensive, method was to soak it in warm or hot soapy water, and then rub it vigorously on a washboard, rinse it thoroughly, and then wring it or (if you had enough money to afford one) put it through a mangler to remove the excess water. 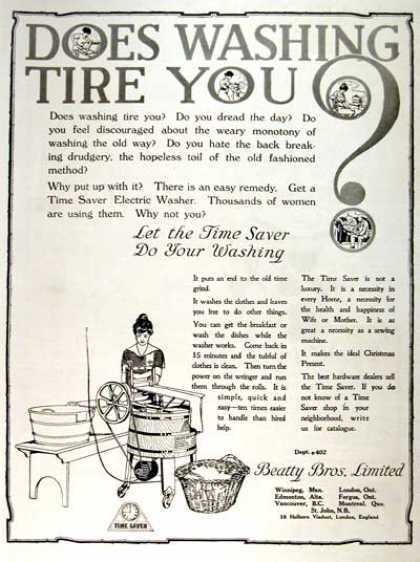 Advertisements and advice columns in NZ newspapers indicate that the simple washtub was still a common method in NZ in the 1910s. It was probably used most in poorer households, and wealthy ones where the lady of the house didn’t have to worry about how much work the washing was for her maid or laundress. Another option was a washing machine. Early washing machines either heated the water, or had hot water poured in or delivered through a pipe, and then had a mechanical system which rotated and agitated the wash to clean it. Middle class households without enough money to hire a laundry lady in, or to send out the washing, or who found themselves frequently without a maid due to the chronic shortage of ‘help’ in NZ, probably had the most incentive to purchase washing machines. They were still a novelty in many areas in 1910, being worthy of demonstration days and trade fairs, but the seller of the most common brand in NZ bragged of 5,000 in use in the country in 1911. They became increasingly common as the decade wore on, as evinced by how often they appear secondhand in auction sales by 1916. 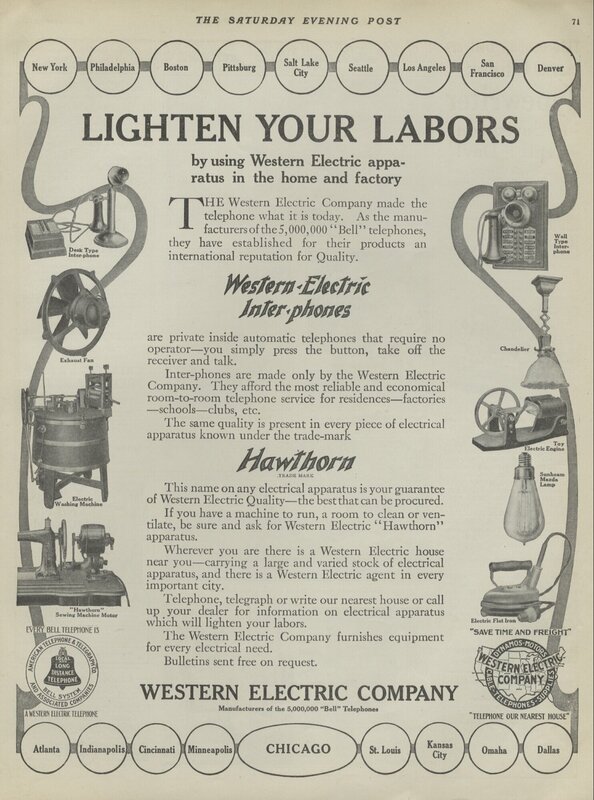 The first electric washing machines went on sale in the US in 1904, but I can’t find any evidence that they existed in New Zealand until after the war. Obviously I do not have a 1910s washing machine, nor a washboard (I’ve been looking for one since January, but haven’t managed to source a suitable one in my price range), nor a mangle. So how am I going to do laundry? 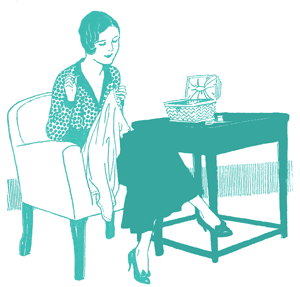 I’m pretending that as a middle class woman, I previously hired someone in, or sent out my laundry, but, due to the combination of labour shortages due to the war and a reduced income due to my husband enlisting, plus the rising cost of basic goods, I can no longer afford to do so. 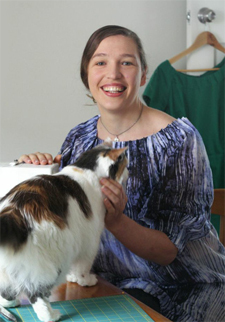 I also cannot afford a washing machine, due to the aforementioned reduced income, and limited imports and a shortage in metals and other basics materials are making them quite scarce. (advertisements for new washing machines almost disappear from NZ newspapers by Nov 1915, though they appear frequently secondhand in auctions after that, particularly in more rural locations). Or maybe mine has just broke, and I can’t find a handyman to fix it due to the labour shortages. In any case, it’s plausible that I don’t have a machine, and don’t have a washing board or mangler. So I’m going to do laundry more or less as described in this ad for Sunlight Soap – soak, rub (on itself) and scrub (with a brush), rinse and hang. I even have vintage (probably 1960s-70s) Sunlight Soap I’ve been hoarding for years. I’ll only be washing the clothes I’m wearing, and any other items that match 1910s ones (sheets, towels, etc), as I won’t actually get an accurate image of what doing laundry was like if I washed my skinny jeans and modern unders! I grew up in PNG and we used to wash our clothes by hand in a tub of cold water: rubbing them on themselves (with a bit of soap where necessary) but no scrubbing brush required. Then through a mangle/wringer and hang to dry. It’s a bit onerous with double sheets, and definitely don’t try washing jeans that way unless you are tired of having skin on your knuckles. I suspect your laundry will take rather a long time to dry without a mangle/wringer, especially in a Welly-winter and especially if you use modern towels. I don’t know what Edwardian towels were like but I’m prepared to bet they weren’t as fluffy and absorbent as modern towels are! Most of the houses I remember that date back to then had a wash-house out the back. This would contain a copper, under which one lit a fire (there was a chimney – all nicely bricked around) and heated the water to boiling. One then grated Sunlight soap or equivalent into the boiling water, added the white cottons (starting with the white, and, using the same water, moving to coloured clothes etc, and finally the really dirty – Dad’s overalls etc). The washing was agitated with a stick or a dolly, and lifted from the copper into a washtub (there were two, side by side) of cold water with the stick, rinsed, wrung-out, and rinsed again in the second tub, before a final wring and hanging on the line. Dirty collars etc would be given a rub in Sunlight, and left to reflect on their sins before washing. Some had mangles or hand-turned wringers that were mounted between the tubs. Or the wash could be wrung by hand. In my first flat, back in the 1960s, there was no wash-house access, so I did the washing in the bath, and wrung-out by hand. Wringing sheets and towels by hand is seriously no fun. There were usually clothes lines running along the back area where the wash house was, under the verandah, for hanging washing in wet weather. And there were those drying racks that hung close to the kitchen ceiling, and could be raised and lowered with a pulley. Very laborious process, washing. And ironing. How do you plan to deal with that? I’d be tempted to just smooth the dryish clothes by hand, and then lean on them! It’s all like that song. “‘Twas on a Monday morning when I beheld my darling. She looked so neat and charming in every high degree. She looked so neat and nimble-oh, a-washing of her linen-oh! Dashing away with the smoothing iron, dashing away with the smoothing iron, she stole my heart away.” And she has to do something laborious to the stuff every day until Sunday, when she wears it! Not a good deal – the woman needed a union! I doubt I’d look “neat and nimble-oh” sweating away over a boiling copper! Laundry was actually the topic of my Master’s thesis-75 pages of text, plus another 15 of photos, and copious endnotes. 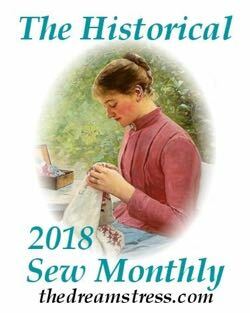 I even DID laundry the old fashioned way (sheets and pillow slips, and my FIL’s canvas carpenter’s pants), as my MIL had a laundry stove, two coppers, washboards for various weights of fabrics, and a wringer/mangle. The joys of living in a house built in 1829, and occupied ever since-lots of treasures! I did not make my own soap, however. All I can say is good luck, have fun, and a mangle is truly essential for large or heavy items. Nerd here–that sounds like a swell thesis! We tend to forget how labour intensive housework was until fairly recently. Washing seems to have been particularly miserable. Someone my father worked with told him he could remember his mother crying while she scrubbed clothes on a washboard (she was washing outside in cold weather and the hot water hurt her hands.) My grandmother had her hand squashed by a mangle when she was young so it wasn’t always safe either! Who was it that said that we could do so much for the world’s poor women by having washing machines? Family planning and education, of course, but washing machines, too…hmm…all a Google Search comes up with is something from the Vatican, and that doesn’t seem right. Anyhow, this all looks so very interesting (wanted to comment on the last post, but I’ll post here, instead) and hard, and it’s so neat that you are undertaking this. sewcharacteristicallyyou.comI remember having fun doing the wash by hand at a living history place. It had the wash board and the wringer. But I would not want to do that for all my laundry. I currently make our soap with lye and olive oil. It isn’t too difficult. You just have to respect the lye. I am fascinated that our way back ancestors figured out that ash from a hard wood fire (lye) and fat that dripped from their dinner cooking, combined and made soap that cleaned! I knew my great grandma, she passed away when I was about 4, and I remember she told me about how she would make soap with fat (right after they butchered!) and lye, and would grind it for laundry soap. This was on a rural farm, around 1910 in Eastern Nebraska. I let my soap sit for about 8 weeks, and a chemical reaction fully takes place. My finished soap is very mild. But relatives have told me great grandma did not let the soap mature, and was very harsh on their skin. There are similar family soap stories from my husband’s family, they made their own soap, as late as the 1940’s on rural Minnesota farms. Your adventure is fascinating. I can’t imagine doing laundry without any kind of implement, not even a wash board. I’ll be looking for your update! I loved that the Sunlight soap ad mentioned that you needn’t worry about exposing cuts and sores to it because “it will do it more good than harm”. I have vague memories of my mother making a poultice of grated Sunlight soap and sugar to draw a piece of glass out of my foot – and it worked. I remember my mother using an electrically powered machine with a mangle in the 1970s, or possibly early 80s, in Wellington. Very old-fashioned! So many warnings about keeping one’s hands away as one fed the clothes through the mangle. Funnily enough, the method you went for is, basically, the student-without-a-washing-machine-who-needs-some-clothes-laundered-before-getting-home-again method, even in the 21st century. 😀 At least in the less-heavy-on-laundromats Czech Republic, it is. Also the method I apply to my bras, to save them from the heavy machinated wringing… My brand of soap is different and I don’t bother grating it for my small loads (I just “wash” it in the water for a bit), but that’s the only differences. I had no idea electric washing machines were that early. I guess it was really mostly an American thing. Mom recalled to me recently that as late as 1960s, they took their washing out once a week – to a sort-of-laundromat, where people did the washing themselves, and it was even fitted with a drying room (which she said felt a lot like a sauna, due to the hot air and all the humidity). I think she mentioned Saturday as washing day, though, and it’s household chores on Saturday for our grandma to this day. Odd differences, I need to ask more!